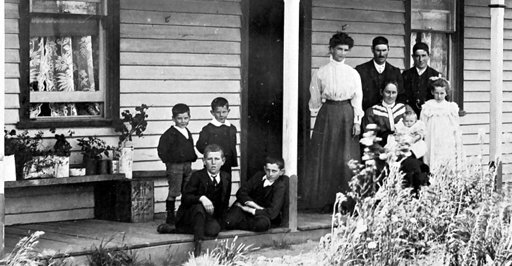 This photo was taken in 1909 on the front veranda of the POVEY house at Carapook. The house still exists in 2002 as a part of a wool shed on a property in the Ford-Luers lane between Carapook and Sandford. George POVEY and his Uncle Fred BURGESS went off to France in WW1 with the 46th Battalion, AIF, both returned, although Fred had been seriously wounded. 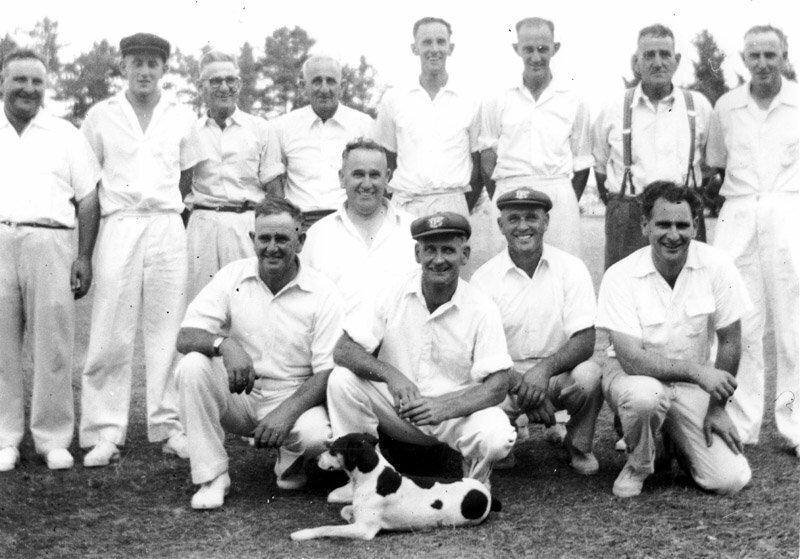 Alan POVEY served in WW2 in north-west Australia and New Guinea. Mervyn, George & Tom POVEY, all sons of George POVEY, served in WW2. Leigh POVEY, grandson of George and Daryl POVEY, son of Alan both served as National Service conscripts in Vietnam in the 1960s.